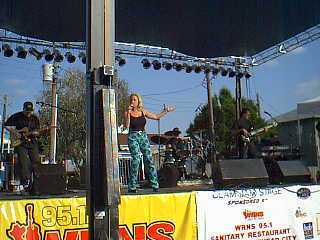 Welcome to my page of Tammy Cochran, these are pics i took of her at a show! I will have songs and news about her RIGHT HERE!!! To Listen To A Preview Of "Better Off Broken" By Tammy Cochran..Click The link Below! NEW SINGLE-----> "I CRY" --call up and request it NOW! 1st Single was "If You Can" was released in the summer of 2000.